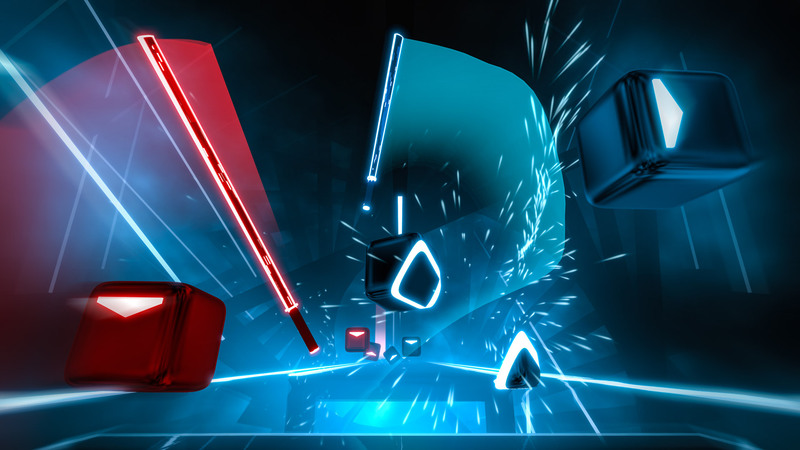 Reporting numbers as of February 2019, Beat Games revealed that VR rhythm game Beat Saber has crossed one million copies sold across PSVR and PC VR platforms. Breaking into seven digits isn’t an accomplishment that any other VR game has yet claimed, which makes Beat Saber the first virtual reality game to tout that success. Perhaps even more fascinating than being the most successful VR game of all time is that Beat Games did it with basically no PR or marketing on their part. The success of Beat Saber has been almost entirely word of mouth. Speaking with Variety, Beat Games CEO Jaroslav Beck talked about how surprising reaching this milestone has been. “We did zero PR whatsoever. We didn’t expect that it would blow up that crazy.” He went on further to talk about how the game is intuitive and easy to pick up, even for people who aren’t “gamers.” There’s also something to be said for how polished Beat Saber is overall. Beck mentioned the technical chops of his team, and I personally have never run into anything that I would chalk up to a technical issue within the game. Beat Games has been supporting the game a lot since its PC release last May, including a PSVR version, a bunch of free songs added, and a paid music pack released today that is just the first of many. Tons of people have been loving Beat Saber, from Darth Maul himself, to all those who want to take on an even harder difficulty with Expert+. Our own review of the game lauded it as perhaps the best VR game of all time. If you’ve been looking for VR’s “killer app,” you don’t have to search any longer. Beat Games can pretty definitively claim the title with Beat Saber of best virtual reality experience. It’s the one game that’s not only a must have if you already have a VR headset, but might be entirely worth getting a VR headset for.